Sometimes, it seems like everyone on the internet is thinking the same thing. 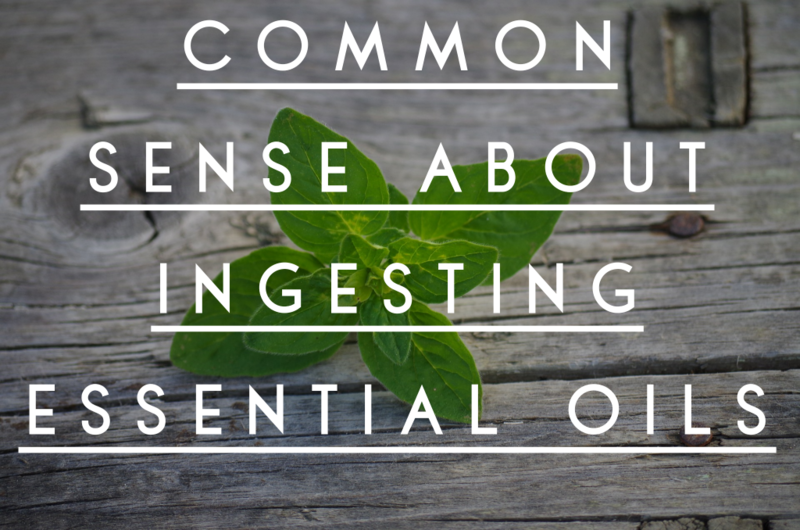 Last week, I kept running across articles about the dangers of ingesting essential oils. The opinions on this tempest in the oily teapot ranged from, “Don’t ever or you will die!” to “Be careful!”. Even the sensible articles had scary, click-bait titles designed to elicit an emotional response. Honestly, I hate that. It’s manipulative. While I might blame the journalists and bloggers who find frightening their readers a good strategy, I don’t blame their readers. There is so much conflicting information out there about how to use essential oils, how much oil to use, whether or not to dilute, which oils, if any, can be taken orally (not to mention the questions about quality and sourcing). I’m hoping we can use a little logic and a little common sense and address things without scare tactics or manipulation. Is ingesting essential oils a total no-go or a green light? The answer, like so many things, is in the middle: proceed, but with caution and sense. If you’re using essential oils, remember that they are very concentrated, and because of this, it’s important to know that they come from a pure source: no pesticides, no chemical fertilizers, nothing dangerous that would also be concentrated into the oil. (My confidence in the purity of their oils is what convinced me to stick with Young Living, even though I know many people who use other brands. Check out their Seed to Seal process for more info on this.) This also means that, though essential oils are natural, they need to be used in the right amounts (small), and with respect to their individual properties. While this is important even if you are diffusing or applying essential oils topically, it is vital to keep in mind if you choose to use essential oils internally. If you are not comfortable taking essential oils internally, don’t! Maybe you’ve done copious amounts of research and have decided that ingestion isn’t for you. Maybe you’re naturally cautious, or maybe everyone you know who uses essential oils tells you to never ingest them. If you are very nervous or uncomfortable about using the oils this way, you don’t need to. There are many benefits from using essential oils topically or through diffusing. Most essential oils users I know, even those who occasionally use them internally, use them topically or aromatically much more often. Does this oil come from a plant that people eat? Does it come from the part of the plant people eat? Many essential oils come from plants that are in the food category: basil, oregano, rosemary, lemon, lime, orange, dill, peppermint, cinnamon bark, clove, lemongrass, even lavender. Other oils, like frankincense, are not from food plants, but have been used orally for centuries (people would chew the resin of the frankincense tree). If I put fresh basil leaves in my tomato sandwich or on my pizza, why would basil essential oil be terrible for me? Citrus zest, which has such concentrated flavor because of the essential oils in it, is a common ingredient. (Read my take on citrus oils here) However, essential oils are super-duper concentrated, which leads to my next point . . . The dose makes the poison. Or the medicine. That’s a pretty old saying, but it fits. The old saying that doesn’t fit is, “If a little is good, a lot is even better.” Essential oils are intensely concentrated, remember? So a few drops of basil oil can impart flavor to my whole pot of spaghetti sauce, where I might have used several fresh basil leaves or a teaspoon or two of dried basil. I cannot stress this point enough, because there are examples in case studies and the news where someone ingested far too much of an essential oil (a whole teaspoon, sometimes more), and there were negative consequences. Essential oils are classified as supplements, and need to be treated like them. If the dosage on a bottle of multivitamins says, “two vitamins,” it’s foolish to decide ten would be better. The “dose” of most essential oils is 1-3 drops (often diluted). That is a teeny, tiny amount. Stick with the recommended dose! Do not assume that essential oils are safe in high quantities just because they are natural. Some oils are hot! Oils like cinnamon, clove, lemongrass, oregano, basil, and others are described as hot. They will redden and heat skin just like the juice of a hot pepper. These oils must be diluted if they are used topically or internally. You do not want these hot oils undiluted on the tender mucus membranes of your mouth. I am fond of a drop of cinnamon bark oil in my morning coffee, but you bet I don’t just drip it into the coffee and go! I put my coffee in a jar, add coconut oil and use my immersion blender to emulsify the oil into the coffee. The coconut oil dilutes the cinnamon oil so I get flavor, but none of the heat of the cinnamon bark essential oil. I don’t drink cold water with cinnamon bark essential oil in it because it would be difficult to dilute. A hot oil must be diluted with a carrier oil to be used. You may be surprised about which ones are hot and which ones are hotter than others, so check before you use them. Follow the directions on the bottle. If the company who produces the oil does not list directions for internal use, do not use it internally. Even if it is an oil that comes from an edible plant source, don’t take it internally if the bottle doesn’t give directions for that. Of course, if if does give directions for internal use, pay attention to the amount recommended as well. 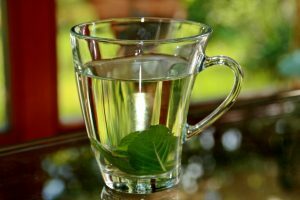 Peppermint essential oil is far, far stronger than peppermint tea! This isn’t an exhaustive list of all the considerations you might entertain before using an essential oil internally, but I do hope it provides a calm look at the basic issue. I have and do use various oils internally, in various ways, to support various systems and their health. With common sense and oils of proper quality, internal use can be safe.